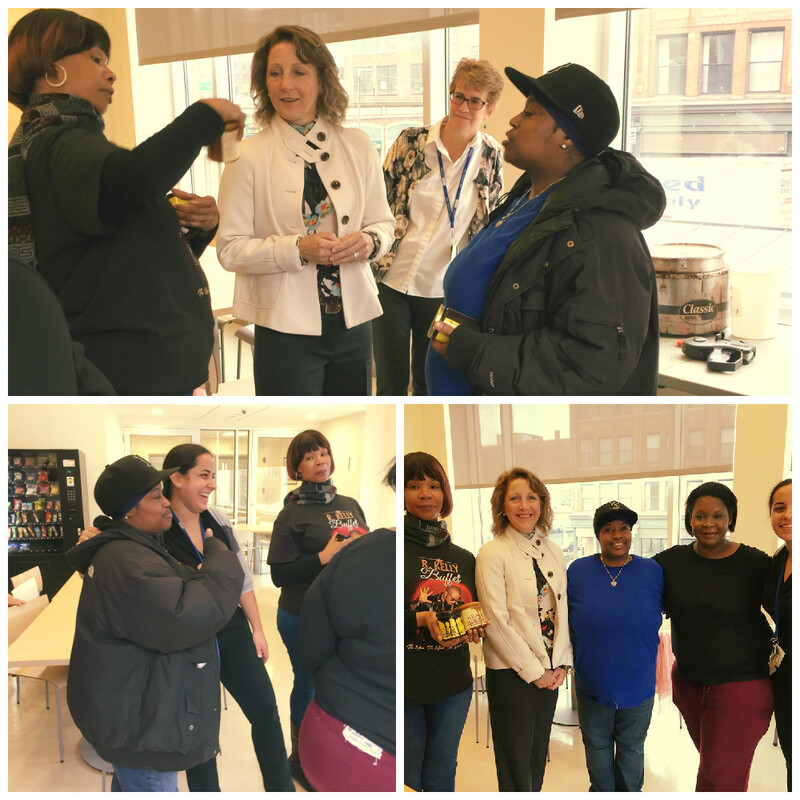 On Friday October 25, the ‘First Lady’ of Massachusetts, Lauren Baker, visited Project Place and talked with several members of the Working Opportunities for Women (WOW) enterprise. 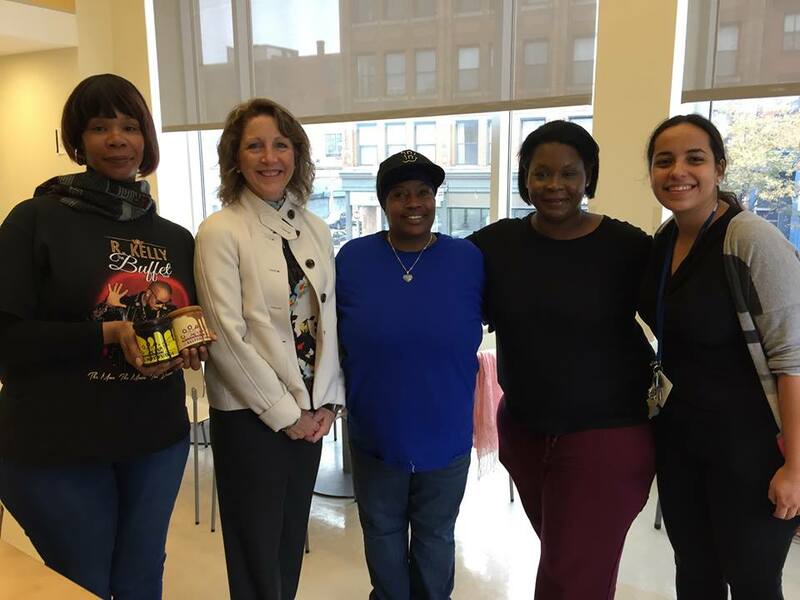 WOW is one of four social enterprises at Project Place, which provides women living in shelters with on-the-job skills and experience to change their lives through work. WOW offers services for businesses that produce specialty products: the first product partner is Coop’s Microcreamery, maker of high-end hot fudge and salted caramel sauces that are sold in a variety of stores from Whole Foods to iGourmet.com.